Events for April 25, 2019 – Pets On Wheels of Scottsdale, Inc. Meetings for all volunteers (a few pets by invitation only) are held every 3 months. New volunteer teams are introduced. Speakers or films are featured on dealing with the elderly, pet care and health, and pet training. Pets on Wheels shirts are available as well as 50-50 drawings and door prizes. 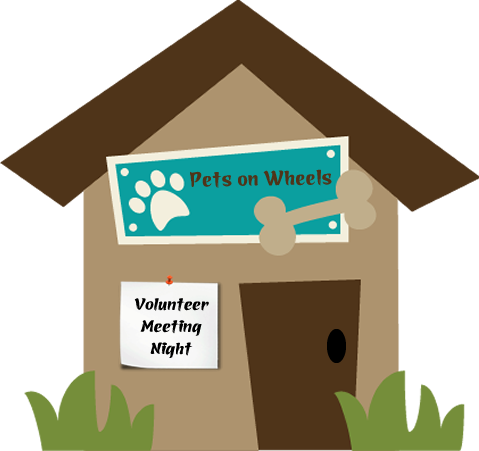 The October meeting each year, is to recognize the volunteer-pet teams and an awards program is featured. Refer to the “Calendar” for dates and details. Use the arrows to move forward or back.